Volcanic activity is spiking in Hawaii and people are flocking there to see the spectacular show. Visitors, both regular folks and scientists, to Hawaii Volcanoes National Park are able to witness the active volcanic personality and the formation of new cinder cones, glowing pit craters, rivers of lava and fountains of spatter. This volcanic paradise shows off 70 million years of volcanism, but was only established as a National Park in 1916. It stretches over 333,086 acres (505.36 square miles) and has two active volcanoes. 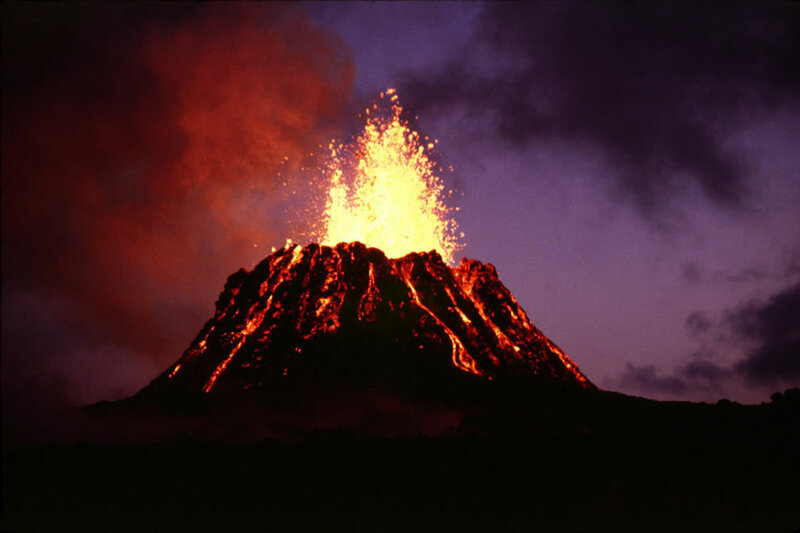 While Kīlauea is one of the world’s most active volcanoes and has been in nearly continuous eruption since 1983, Mauna Loa is the world’s most massive volcano. Hawaii Volcanoes National Park has seven ecological zones, was designated an International Biosphere Reserve in 1980 and became a World Heritage Site in 1987. Welcome to the Big Island and volcanic paradise! We love these pics!